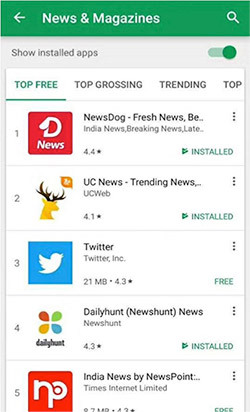 NewsDog, a Hindi and vernacular app founded by Chinese entrepreneurs and downloaded 10 million times on Google Play Store, has raised $50 million (Rs 340 crore) in a Series C round led by Chinese internet giant Tencent Holdings. Other investors include California-based venture capital firm DHVC, Chinese VC company Legend Capital, and Hong Kong-based app developer Dotc United Group. Investors of the news aggregator look to harness the next half billion Indians coming online thanks to data boom unleashed by cut-throat competition in the telecoms industry. By offering content in vernacular languages, the app taps into the future of the internet, which is in the hands of the next billion users—the latest generation of internet users to come online on smartphones in places like Brazil, China, India, Indonesia and Nigeria. NewsDog plans to use the proceeds to empower individuals and content creators to showcase their work and reach the digital mass public. The company is adopting blockchain to grow faster and make the content ecosystem transparent. The app’s funding comes two weeks after TechCircle reported that unusual jockeying had broken out for a piece of ShareChat, a regional language social network whose Android app saw more than 10 million downloads since its introduction to the Google Play Store in 2015. This binge of downloading enthusiasm among local internet-mad users has been stoked by cheap waves of data unleashed by cut-throat competition in the telecoms industry. The vernacular app, in addition to regional social networking, gets users localised content such as latest updates on Tamil, Bollywood, Telugu, Marathi and Bengali movies. 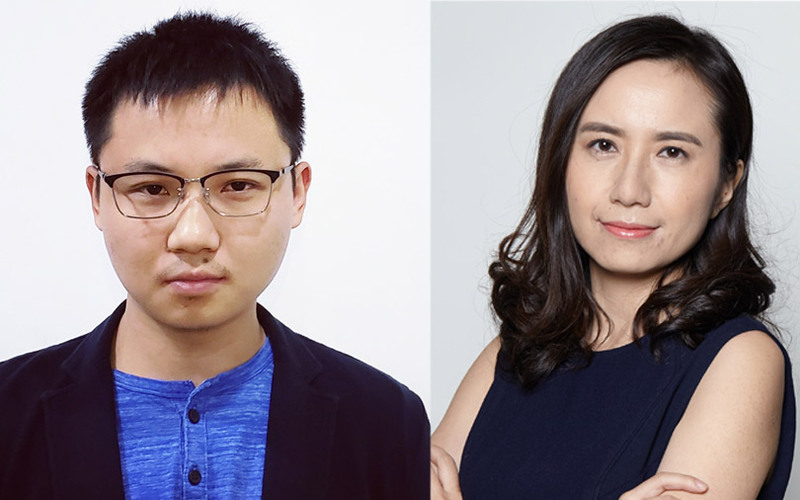 Similarly, NewsDog, founded by Chinese entrepreneurs, Forrest Chen and Yi Ma, aims to enrich localised experience by adding more regional languages. “Indian digital content industry is just getting started. Polyculture and multiple languages make content matching an incredibly hard problem. We believe that strong machine learning capabilities will be pivotal in scaling up content platforms in India,” said Chen. NewsDog is owned by Hong Kong-based Hacker Interstellar. The platform collates short-form news stories in English and vernacular languages including Hindi, Tamil, Telugu, and Marathi. Currently, it claims to have 50 million users across 10 languages. It says it has emerged as one of the fastest-growing content aggregator apps since its debut on Google Play Store in 2016. The company says its machine learning capabilities enable a personalised content feed for users. NewsDog presently has two offices in India, in Pune and Gurugram, and plans to set up offices throughout the country in 2018. It also launched a content platform WeMedia, which enables users to submit content through it. Presently, WeMedia has over 30,000 writers contributing content. The company aims at doubling its employee strength. “After the new round of financing, the company’s expansion plans will focus on two aspects, one is to create a more dynamic content platform for users by enriching localised experience by adding more regional languages. The other is to constantly buttress our technical capabilities in order to provide users with a more personalised experience," said Ma. NewsDog competes with players such as Toutiao-backed Dailyhunt and Tiger Global-backed Inshorts. The differentiating factor of NewsDog is its focus on vernacular news. Dailyhunt raised $25 million in a Series D round led by ByteDance in October 2016 and currently is in talks with Alibaba for selling a minority stake. In December 2017, Noida-based mobile news curation app Inshorts raised $5 million (Rs 32.2 crore) from Tiger Global in a bridge round of funding. A couple of months back, Bengaluru-based technology news portal FactorDaily secured Rs 5.7 crore ($875,000) in a fresh funding round from Freshworks promoter Girish Mathrubootham and existing Paytm founder Vijay Shekhar Sharma. Digital news portal The Print raised Rs 3.49 crore (around $535,000) from existing investor Tata Sons chairman emeritus Ratan Tata in March 2018.